I have a cousin, Patricia. She and her husband John live in Ohio. 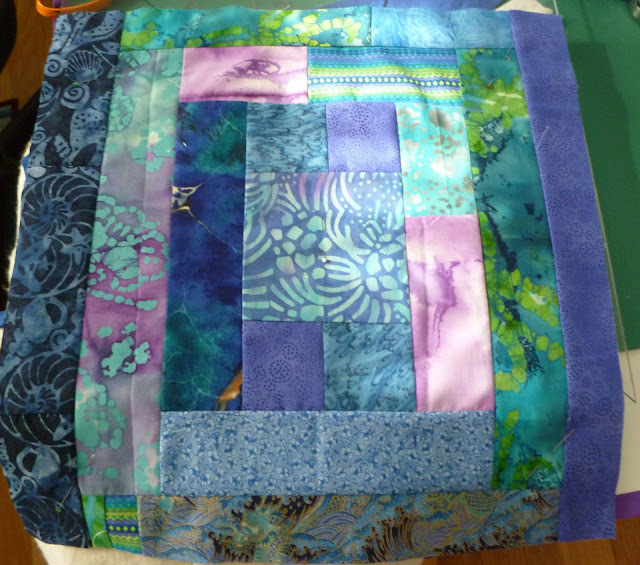 I wanted to do something special for her so I decided to make her a quilt using the QAYG method. 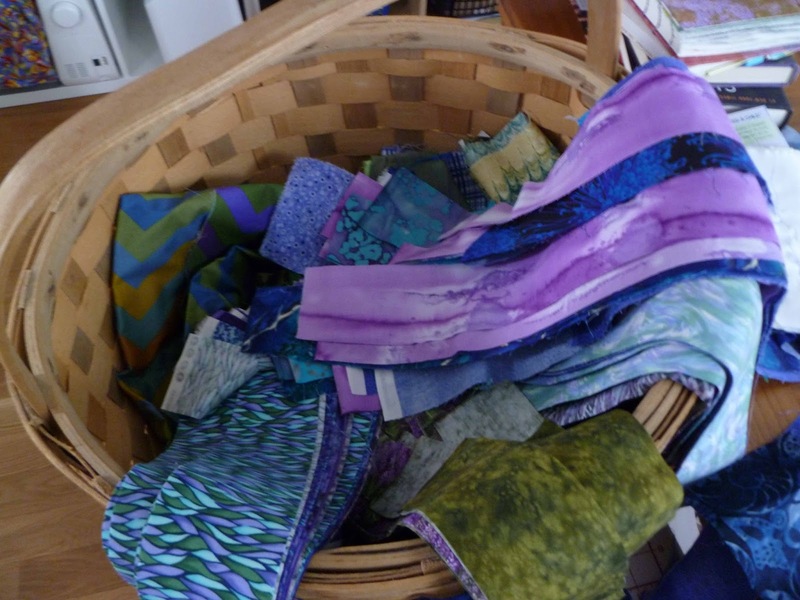 I do not use commercial fabrics in my art work but I have a HUGE stash of very expensive fabrics from way back when I did. This has been an opportunity to use some of those fabrics. The QAYG method is so user friendly. I don't have any pressure, no big quilt hanging around taking up space and making me feel guilty. I am enjoying this. 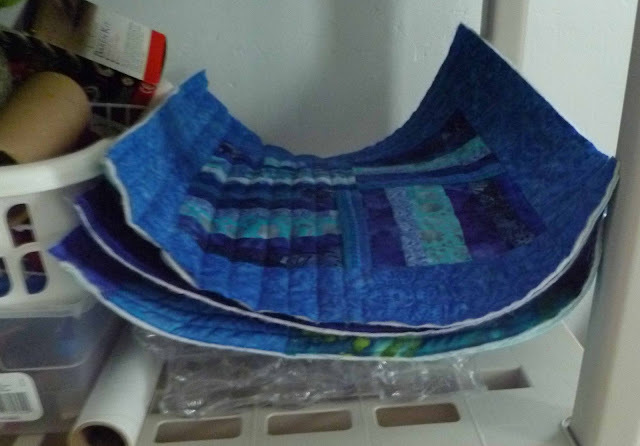 I am making 16" squares. To facilitate trimming I had a 16.5" Plexiglas square cut at the glass store. I decided to cut 2.5" strips of most of the fabrics and try to come up with some interesting patterns for the squares. This is an Aroostook County Potato Basket made my a MicMac Indian friend. Aroostook County is the top of Maine and is famous for their potatoes. Now they are the largest producers of broccoli on the east coast. 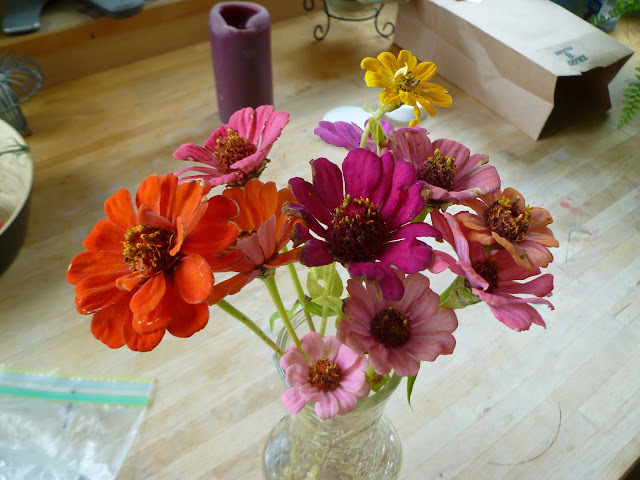 Last Zinnias of the season. 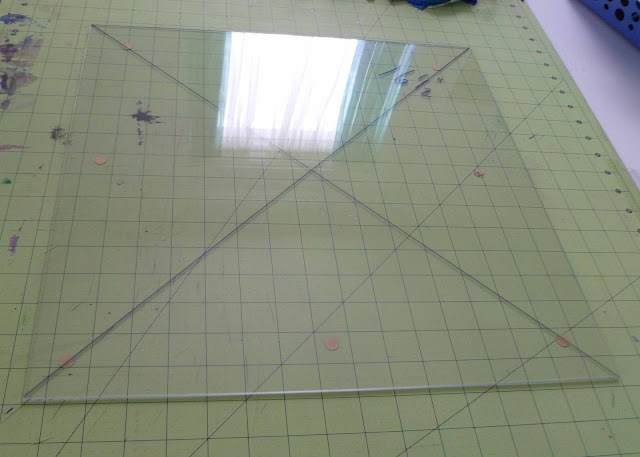 Great idea to have the glass shop cut the square for you. Would love to see the fabric you are using for the backing on these squares. Thanks. Your blocks look like they're smiling, of course that could be me, it's late here. 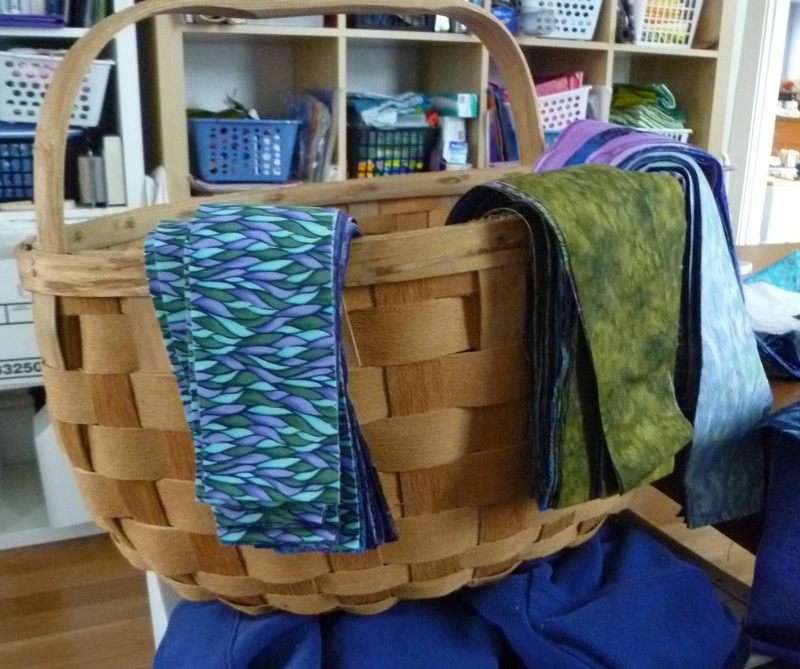 They're lovely and I look forward to the quilts progression. The Zinnias are gorgeous.